Valerie Elkins, a former International Research Consultant for the famed Family History Library in Salt Lake City, Utah is now the CEO of her own research company. Her engaging style, passion and genuine desire to share, make her a favorite and frequent speaker at genealogy conferences in America. Valerie first fell in love with genealogy at the tender age of ten, growing up in a family that moved like migratory birds. The slivers of stories that she heard drew her in and helped her feel connected and grounded. Valerie is passionate about finding ancestors, their stories and sharing them in meaningful ways. Valerie has served on numerous genealogy boards and currently is a board member of the Association of Professional Genealogists. She is the co-founder of Family History Writers Retreats and is a geneablogger, where she writes about all things family history on her blog FamilyCherished.com. 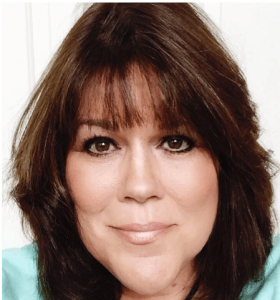 Valerie has been named one of the “Top 40 Social Media Mavericks” in Family History and is frequently a social media ambassador for genealogy conferences in the US. Some of those family migratory birds in her family came from the UK and she is thrilled to speak at the inaugural event of THE Genealogy Show.